Sponsored by DARPA, UC is developing a multi-modal emotion recognition system that is capable of estimating emotional states of human subjects using a number of non-invasive external cues. UC's solution includes a set of innovative feature extraction and analysis modules for various sensory data and a novel probabilistic multi-modal information fusion framework that seamlessly incorporates heterogeneous cues. 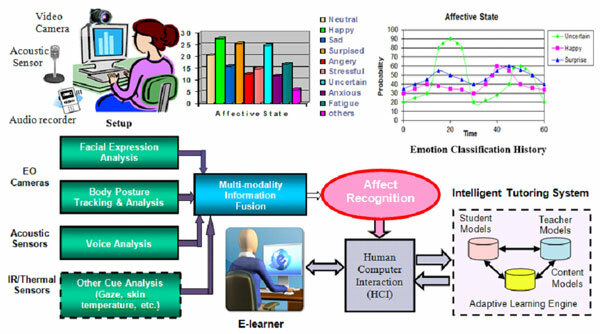 Our emotion recognition technology has broad applications in smart surveillance, learning and training, health services, virtual therapy and rehabilitation, gaming, robotics, aviation, etc.